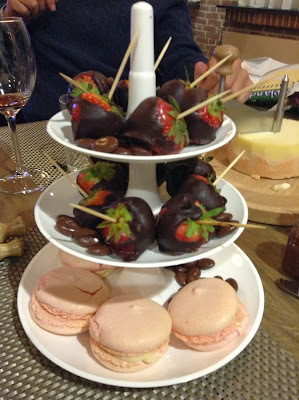 homemade DELICIOUS desserts made by our hostess! great weekend continued with a lovely visit with friends in the Drenthe province of Holland. Relaxing, fabulous food, fun, wonderful friends- what more could one ask for?- perhaps a bit more sun but it was warm and cloudy- not bad!